When you are injured or sick, you choose a doctor to help you and you rely on their years of training in and practicing of a particular area of medicine. You want them to examine you, perform necessary diagnostic tests and figure out what’s wrong with you. When they fail to diagnose a serious condition, such as heart attack, stroke, cancer or pneumonia, the results can be disastrous. If you or someone you love has been the victim of a healthcare professional’s failure to diagnose an illness or other medical condition, you may not find out until it’s too late. As a result, your options for treatment could be reduced or even nonexistent. In the interim, you’ve been forced to suffer in pain unnecessarily. Worse, the condition may have worsened to the point where a doctor’s negligence failing to diagnose caused wrongful death. 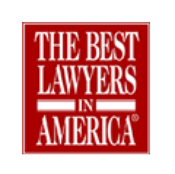 At The Law Offices of Andres & Berger, P.C., we’ve helped countless victims of medical malpractice in South Jersey, including Haddonfield, Cherry Hill and Mt. Laurel, NJ, recover millions of dollars in damages after doctors failed to diagnose conditions and illnesses that should have been easily identified and treated early enough to make a difference. We will fight tirelessly for your family in an effort to recover the significant compensation you deserve. How Common Is Failure to Diagnose Malpractice in New Jersey? Failing to diagnose a patient’s condition is far more common than you might think, whether it’s a misread x-ray or MRI, lab work that was performed incorrectly and led to a wrong diagnosis, or a doctor’s negligence in noticing signs and subsequently failing to order the proper diagnostic tests. “Failure to diagnose” is when a doctor fails to see the connection between your symptoms and a medical condition, therefore not ordering any type of treatment. Beyond completely failing to diagnose an illness, it may be medical malpractice if the doctor misdiagnoses your condition (treating you for a condition you don’t have) or makes a delayed diagnosis (the condition is eventually discovered, but it’s either too late for treatment or earlier diagnosis and treatment would have made a considerable difference in your prognosis). While it’s unacceptable for a doctor to fail to diagnose any illness, some conditions that go undiagnosed can advance quickly. Depending on the condition, treatment options may dwindle or become nonexistent the further a disease worsens. Some conditions are less life-threatening and tend to advance more slowly. Failure to diagnose may make less of a difference in the short-term, but all of these illnesses have serious symptoms that, left undiagnosed and untreated, can be deadly. These types of conditions include: depression, fibromyalgia, sacroiliac joint dysfunction, , severe infections such as toxoplasmosis, , thyroid disorders, , and celiac disease. When you have a condition or illness that is not diagnosed at all, it stands to reason that you will not get the appropriate medical treatment or care needed to heal you. 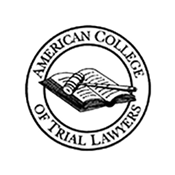 The result of a ‘failure to diagnose’ medical malpractice situation can mean long-term suffering and even wrongful death. The experienced medical malpractice lawyers at The Law Offices of Andres & Berger, P.C. understand the nuances of these types of cases. We will conduct a full investigation of the doctor’s actions by reviewing medical records and interviewing all witnesses, including nurses and other healthcare staff. If your doctor was rushed and didn’t spend adequate time to evaluate you and ask about your complete medical history or was interrupted during your examination, the healthcare staff won’t be aware of your risk factors for certain conditions. Further, if your physician orders the wrong tests or misreads or misinterprets test results the final diagnosis will be flawed. Sometimes, a doctor just fails to recognize the symptoms of a disease or condition or diagnoses too quickly connecting your symptom to a less serious disease and doesn’t order any diagnostic scans, so he will have no idea what the real diagnosis should be. The Law Offices of Andres & Berger, P.C. 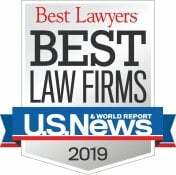 has been recognized as the “Top Medical Malpractice and Civil Trial Lawyers” by South Jersey Magazine. We have represented countless families in Burlington, Mercer and Atlantic counties who, unfortunately, have fallen victim to a doctor’s failure to diagnose a serious condition. We are in a position, with the assistance of top consultants and medical experts, to determine the answer to a very important question: Is it reasonable to believe that a competent doctor would have done something differently in your case. If the answer to that question is “yes,” you may have a winnable medical malpractice lawsuit. 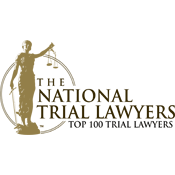 We know that many things need to be proven in order to hold a physician liable for failing to diagnose a condition, and, we know how to craft winning ‘failure to diagnose’ or’ delayed diagnosis’ cases. 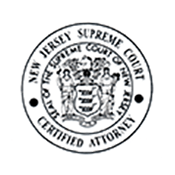 We’ve won millions of dollars in settlements and verdicts for our clients throughout South Jersey, including Pemberton, Moorestown and Evesham. The Law Offices of Andres & Berger, P.C. are located in Haddonfield, NJ in Camden County, but we are well respected and referred by colleagues and clients throughout New Jersey. 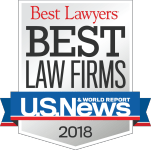 Our excellent reputation for working tirelessly for our clients is well known throughout the legal community and, perhaps most importantly, by insurance carriers. After building an airtight legal case on your behalf, we will skillfully negotiate in an effort to reach a solution that is in your best interests. We never back down from a legal battle, and insurance companies know that we are not afraid to take a personal injury or medical malpractice case to court when necessary. Because of this, they don’t waste time with low-ball settlement offers. This allows our battle-tested lawyers to win maximum compensation in your case. Whether your doctor failed to diagnose cancer or something less serious like a broken or fractured bone, you may have become a victim of doctor negligence. We know you want to hold the responsible person liable for their mistake. And we know you want and need financial compensation for your pain, suffering, lost wages and medical treatment. Call the experienced medical malpractice attorneys at The Law Offices of Andres & Berger, P.C. today for compassionate but aggressive legal representation. 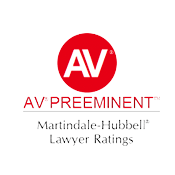 If you are in Voorhees, Marlton, Washington Township or anywhere else in New Jersey, contact our office for a free consultation about your case. All personal injury and medical malpractice cases are on contingency; if we don’t win, you don’t pay.